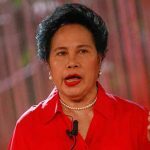 MANILA, Philippines – Senator Miriam Defensor Santiago said on Sunday, April 24, that when elected, she would call a referendum to answer the age-old question: should the late President Ferdinand Marcos be buried at the Libingan ng mga Bayani (Heroes’ Cemetery)? 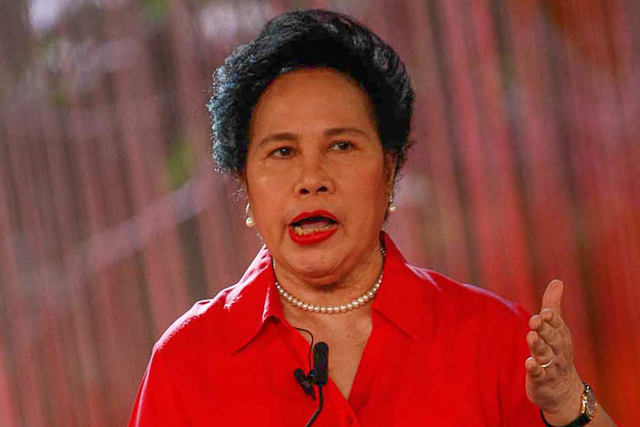 Santiago is the standard-bearer of Senator Ferdinand Marcos Jr, the son and namesake of the late strongman. What she said was a little different from her statement last year that she was not against the burial of Marcos’ remains at the Libingan. Other candidates “close” to Marcos Jr was also asked of their position on giving Marcos a heroes’ burial. Davao City Mayor Rodrigo Duterte, a friend of Senator Marcos, went straight to the point and said he would allow it. “Yes, definitely, yes, because it has divided the country until now. Almost all Ilocanos are mad why it has not happened yet,” he said in a mix of English and Filipino. On the other hand, Senator Grace Poe said that she would follow Republic Act 10368 or the Human Rights Victims Reparation and Recognition Act of 2013. “’Yung batas ay nagsasabing hindi p’wede. RA 10368 na nagsasabi na kilalanin ang mga nagsakripisyo nung panahon niya,” she said referring to victims of human rights violations during the martial rule. Poe is the adopted daughter of celebrity power couple Fernando Poe Jr and Susan Roces. The late President Marcos and wife former First Lady Imelda Marcos were their principal sponsors during their wedding. Meanwhile, Aquino ally and Liberal Party standard-bearer Manuel Roxas II was asked if he would give Marcos Jr a Cabinet position should the latter get elected as vice president.